Eric is a beautiful Palomino pony about 12.2 hh born in 2010. He has been here since he was a spirited yearling who needed freedom to enjoy his youth. He had been stabled and in frustration he was kicking out when handled. After a while living free in the fields he decided life was good and became a friendly, happy pony. He is now going well in the riding school and living out happily with Beau Jangles and his other bigger friends. 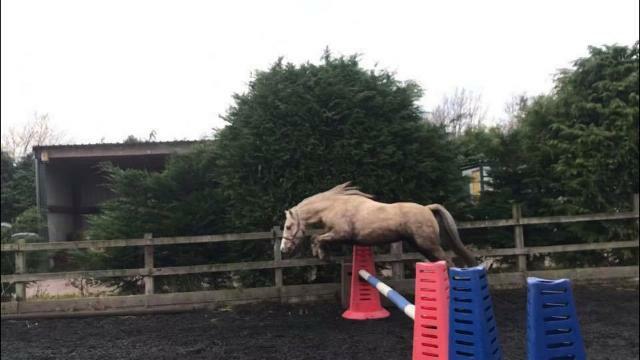 He is one of those ponies who loves jumping. Left alone in the school he will do as many circuits as we allow, just jumping for joy.